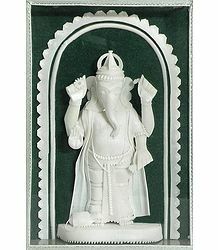 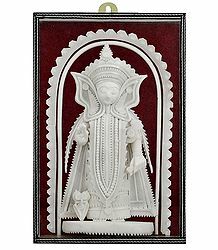 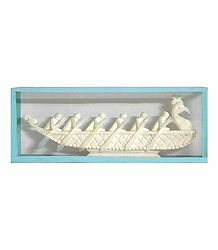 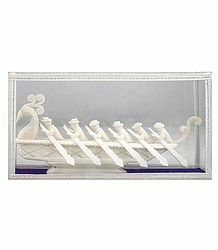 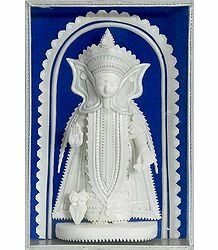 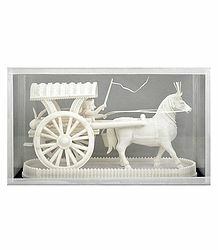 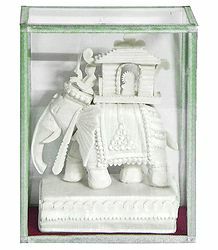 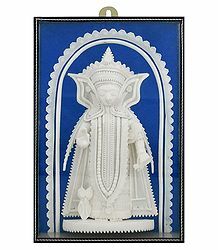 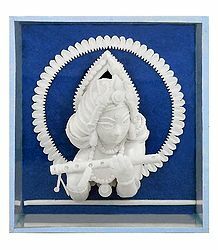 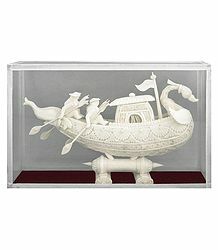 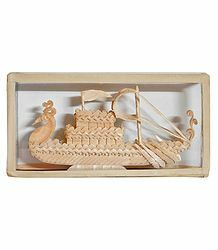 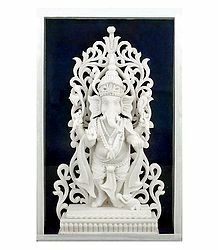 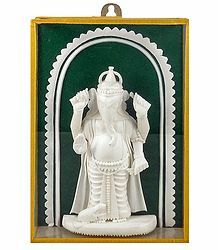 Shola pith is a milky-white sponge-wood which is carved into delicate and beautiful objects of art of India. 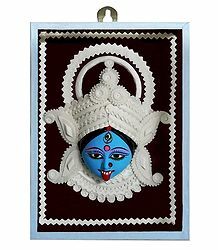 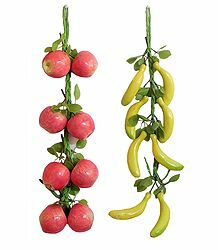 Shola is a wild plant found in marshy waterlogged areas of Bengal and Assam. 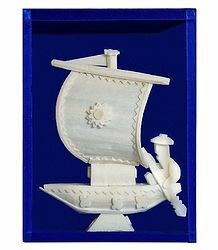 The shola pith is the cortex or core of the plant and is an inch and a half in diameter. 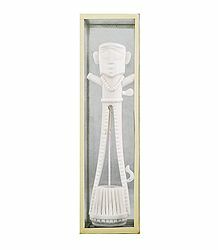 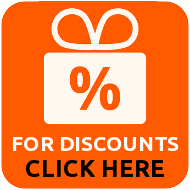 The outer harder brown skin is removed by expert hands to reveal the inner soft milky-white and spongy material. 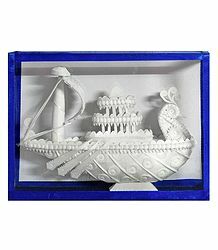 Artists from Bengal, Assam, Orissa and Tamilnadu use it for making artefacts used for decoration and ornate head-wears of bridal couples. 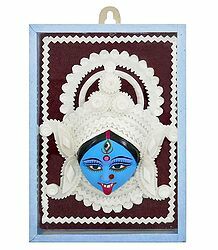 The finest examples of craftsmanship are however seen on images of gods and goddesses on festivals, especially the massive decorative backdrops made for "Durga- Puja" celebrations.